Sakae and Japan Foods : Which Fares Better? Japanese cuisine is quickly gaining popularity amongst Singaporeans. We examine how Singapore-listed players like Sakae Holdings and Japan Foods Holdings fare as they compete with each other a piece of the pie among Japanese food lovers in Singapore. Both Sake Holdings and Japan Foods experienced lower profits in their latest financial updates. 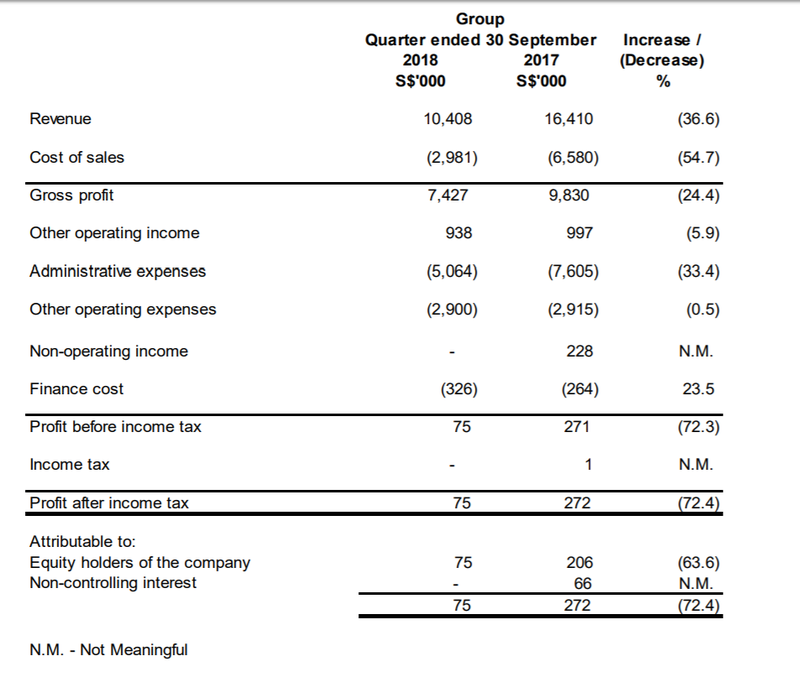 For Sakae Holdings, its revenue for 1Q19 fell 36.6 percent to $10.4 million, while net profit fell 63.6 percent to $75,000. It has cash and cash equivalents of $1.8 million, with bank loans totalling $53.9 million. The net cash from operating activities for the quarter stood at a negative $1.3 million as compared to a negative $0.8 million in the comparable quarter in 2017. For Japan Foods, the revenue for the six months 1H19 rose one percent to $33.3 million, while net profit fell by 32.1 percent to $1.6 million. Cash and cash equivalents stood at $21.9 million while there is no debt on its balance sheet. The net cash from operating activities (CFO) stood at a positive S$4.5 million for the six months ended 30 September 2018 as compared to $3.9 million for the comparable period in 2017. Japan Foods has higher price multiples that are reflected in both the price-to-earnings (P/E) and price-to-book value (P/B) multiples. In terms of market capitalisation, Japan Foods is also valued higher compared to Sakae Holdings. 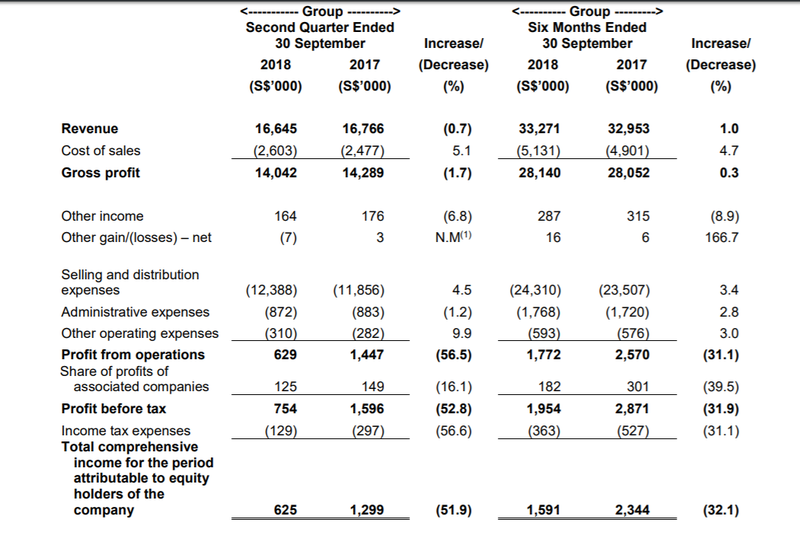 Sakae Holdings – Diversification Out Of Desperation? When we attempted to analyse the overall business strategies for Sakae Holdings, we noticed that the Company is branching out into several non-core businesses such as financial technology (fintech) applications, cybersecurity and blockchain. However, we think that investors might be questioning the value these businesses will bring. Moreover, we think that with net CFO of Sakae Holdings that are still falling short of positive growth, the Company should start planning on how it can conserve cash during times of significant economic stress. On October 30, 2018, The Business Times reported that during the Annual General Meeting (AGM) of Sakae Holdings, it disclosed that it lost US$4.3 million ($5.92 million) selling sugar to a missing customer. However, the management was tight-lipped about the case citing ongoing investigations. Moreover, Executive Chairman Douglas Foo remained adamant and brushing aside repeated questions on the matter, only to reiterate that the Company is pressing on to recover the lost monies. During the AGM, there was also a question from an attendee that pointed out the lack of strategic focus in Sakae’s core food business. Mr. Foo replied noting that Sakae Holdings as a global brand company rather than a food company. We think that the various exchanges among shareholders and management were quite tense and sometimes fractious. Such tense exchanges do not bode well in the area of full disclosures and transparency and shareholders might express doubts going forward. Sakae Holdings Or Japan Foods? While Sakae Holdings has low price valuations, the firm is heavily levered with debt-to-equity levels at over 120 percent. On the other hand, Japan Foods Holdings has no interest-bearing debt. Moreover, in the area of corporate transparency, in light of the recent news events with regards to Sakae Holdings’ lack of openness towards issues like missing monies, Japan Foods Holdings could offer better clarity as a form of investment.